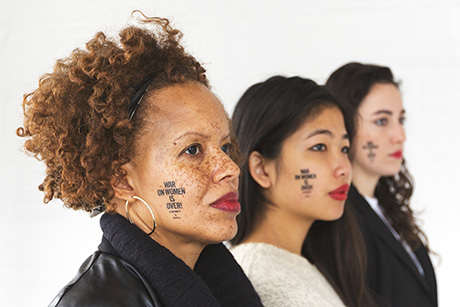 On the 42nd anniversary of Roe v. Wade, the historic decision by the U.S. Supreme Court that recognized a woman’s constitutional right to abortion, the Center for Reproductive Rights launched a new campaign, “War on Women Is Over! If You Want It,” to educate and activate individuals on the profound threats to women’s freedom. 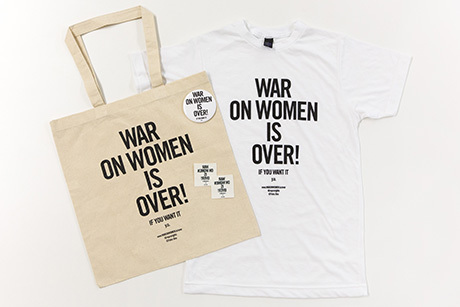 The campaign was inspired by the power and vision of Yoko Ono and John Lennon’s original 1970s “War Is Over” campaign, with permission from Yoko Ono, and in reaction to the 231 restrictions on abortion enacted between 2011 and 2015. Celebrities and online influencers were armed with Action Packs, detailing how they can help to protect safe and legal abortion on Roe Anniversary. “War on Women Is Over! If You Want It” raised the organization’s visibility to a new audience with the help of Yoko Ono, Michael Douglas, Jemima Kirke, John Lithgow, and Taylor Schilling, just to name a few. After the campaign is over, reproductive rights activists and celebrities continue to use campaign materials as a way to protest at marches, social gatherings, and town halls. 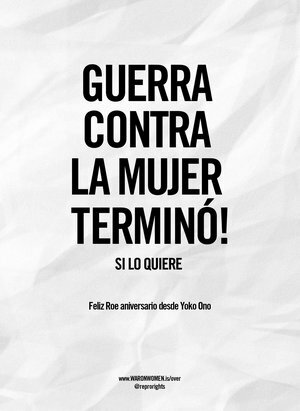 Staying true to Yoko Ono and John Lennon's original campaign, the branding for this project uses a similar typography and the black-and-white color. Read more about the campaign on The New Yorker, BuzzFeed, and Open Society Foundations.